Рожденный в семье рыбаков с более чем полувековым опытом рыбалки, Нимален знал, чему посвятит себя, когда вырастет. Он часто рыбачил с отцом в их деревянном каноэ и учился всем хитростям рыбалки. Нимален приобрел свою первую моторную лодку в 1984 году после долгих лет работы. В 2000 году он основал свою собственную компанию и позднее купил Le Performant 1. Когда от клиентов не было отбоя, Нимален добавил в свою коллекцию Le Performant 2, 3 и 4! The full day trip was great. 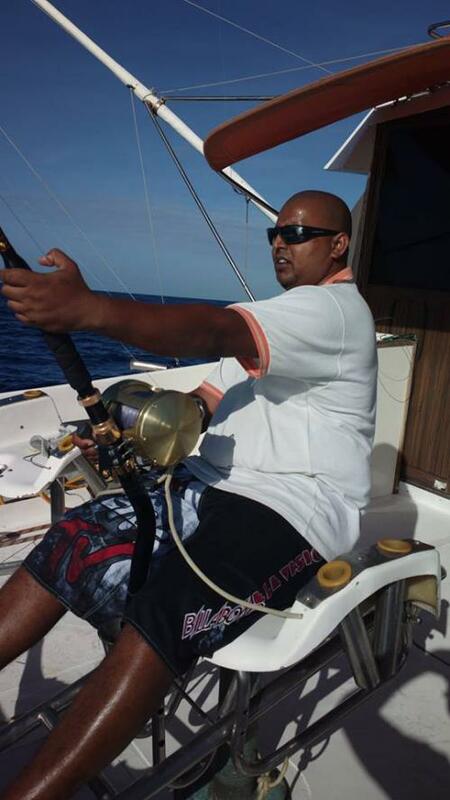 The owner of the firm contact us directly after booking (about 4 months before our journey to Mauritius). The contact was very good, we had all information about our trip provided and also about the picking up from the hotel to harbor. The boat was very clean and in good condition. 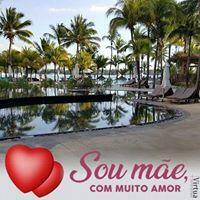 The crew was very friendly, helpfull (also for the beginners) and they have a lot of experience. 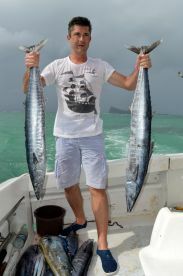 And what is the most important thing – we caught a lot of fish from 3 different species: wahoo, bonito and mahi mahi ! We recommend Le Performant company for all! 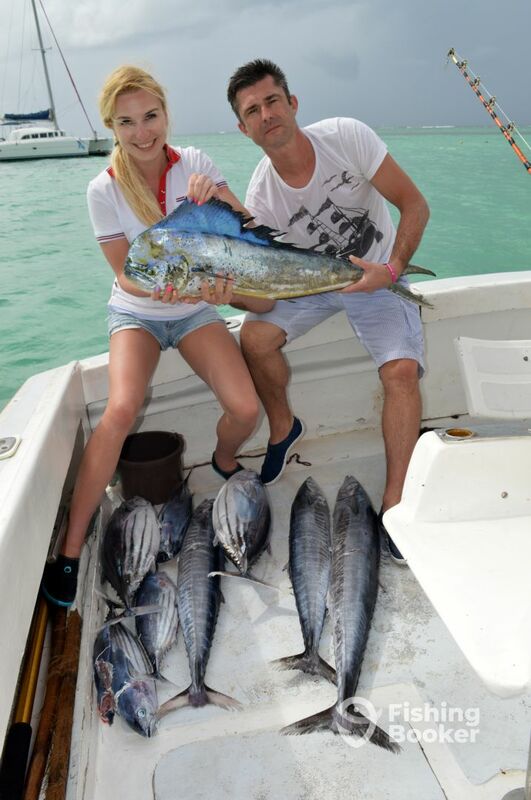 It was a pleasure for us that you trust our charter and enjoy you fishing trip. 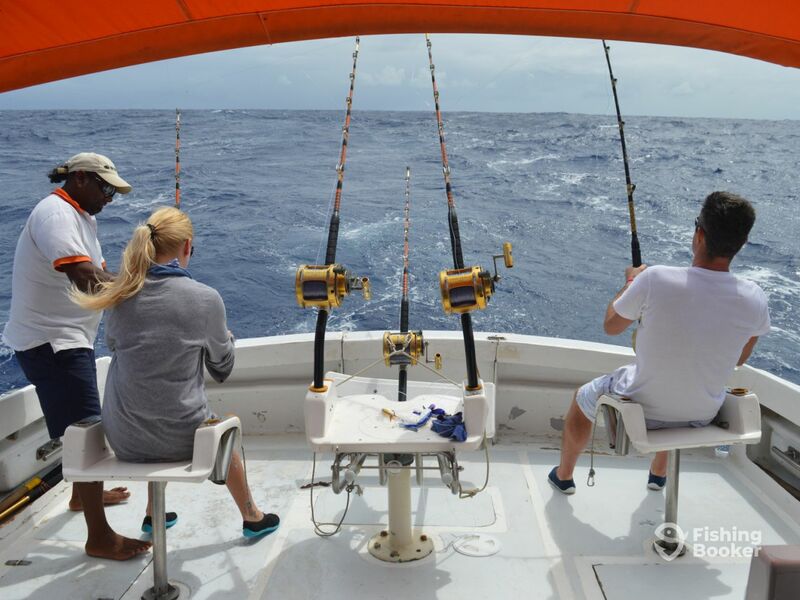 Lovely hot day…we had a take from a marlin early on, but didn’t hook it. No further interest from any marlin after that. However, 3 lumpy (20lb) dorado came along to lighten the mood. One small tuna after that. Its below the standard. The charter is little bit expensive and the crew were interested in fishing Tuna as it was Tuna season and they know that the Fish caught will be theirs as you know all the fish caught is theirs. 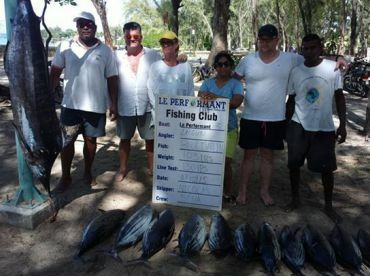 We told them in the beginning that we came to Mauritius specially for Marlin and Sail Fish so they were interested on Tuna which will be theirs while we spent all that big money US $900 for a full day fishing. Another thing Ice was very little which was not enough for our drinks so at the end we were having warm drinks. Also the Toilet was some time not flushing and below standard. Big confusing about “Lunch included” as advertised on Fishing Booker,as Captain said they do not cater for Full Day Lunch on any of his boats.It is very misleading!! !